Thomas Karnowski is a co-founding partner of MMKR. 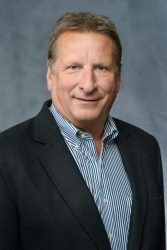 Since 1978, Tom experienced the intricacies of tax and accounting and has developed a keen expertise in overall tax minimization, business development and operations, and reporting-related issues of the nonprofit industry. Tom approaches each of his clients knowing that there exists various avenues to meet their objectives, at which time, he consults with clients on each option's implications, considering both the organization's current needs and long-term goals. With his wealth of experience as an accountant and as the partner in charge of a national accounting firm's Minneapolis tax department, Tom was instrumental in the development of the tax, closely-held business, and nonprofit departments of MMKR. Tom graduated with a Bachelor of Science degree in accounting from St. Cloud State University. To that he adds annual specific training through continuing professional education in areas of service expertise. This allows him to maintain and enhance his client focused knowledge in this ever-changing tax and business environment.